What kind of month has it been? I have a bunch of ideas for blog posts but life has been so busy the past few weeks that I haven’t had a chance to sit down and flesh them out. So I thought I’d tell you about what has been keeping me busy. The most exciting thing was the Love Flash Mob over at Momastery. In 24 hours we raised over $475,000 dollars to build a new wing for the Heartline Maternity Center in Port au Prince, Haiti, and to buy warm clothes for mothers and babies from Syria who are still living outside in Berlin, even as the cold weather has set in. These Love Flash Mobs are my favorite times of the year because we take the power of community and turn it into concrete, practical action to love and care for each other. The maximum donation is $25 — the average for this one was $21. That means my $25 counts just as much as that of the millionaire or billionaire or anyone else. 21,000 of us got together and gave, and countless lives will be saved because of it. You just can’t get efficiency and joy like that anywhere else on the interwebs. Check it out here. And don’t be sad if you missed this one, just follow Momastery on Facebook and/or my Facebook page and we will be sure to tell you when the next one is happening. I even stepped way out of my comfort zone for the flash mob to create and video tape myself doing a touchdown dance for every flash mob update. Enjoy! I’ve also been busy with the launch team for Sarah Bessey’s upcoming book Out of Sorts: Making Peace With an Evolving Faith. The book is amazing — You are going to want to read it, trust me. I’ll have a review up soon, but for now you can preorder it on Amazon.com or Barnes and Noble, or support your local small bookstore by buying it there. The release date is November 3rd. She first saw the dragon the same night her uncle first came into her room. She was very young. After he left she lay there, choking back tears – he had warned her not to cry – and wondering, for the first time in her life, if there was something wrong with her. Then, suddenly the dragon was there, hovering over her bed, its green eyes shining in the darkness. It had brown-red scales, like muddied flame, and its wings spanned the room and, somehow, beyond. She caught her breath and stopped crying, terror of the dragon greater than the pain. She waited for it to pounce, but it never moved, other than the slow beating of its wings and the whirl of its eyes, locked on hers. Time passed, minutes or hours. Then, despite her uncle and despite the dragon, her eyes began to droop and her small body fell into sleep. It was very late, and she was very young. From then on, whenever her uncle came into her room, after he left the dragon would appear. Soon she found that she would wait for it, lying in the dark, holding her breath and blinking until its unblinking eyes appeared above her. She never really stopped being afraid of the dragon, but she was comforted, too, by its presence, its strong, sinewy legs and sharp claws, its tireless wings that beat the air, swirling it into a gentle breeze. Even though the worst had happened, even though she was so, so far from safe, she felt something her young mind did not have words for yet. Something like hope, something like confidence. And the dragon lifted its own chin, and opened its jaw, and a blast of fire came out, heating the air above her head, but she was not harmed. She understood its answer: Yes, the dragon had said, I could fry you and swallow you whole, but I will not. And she cried harder that night than she ever had before. The last time the dragon appeared to her was years later. She was older now, not young anymore, not at all young anymore, and the dragon came to her late one night. And she looked in its eyes and noticed something she never had before: They were the same color as her own green eyes, with the same brown flecks. And she saw that the mud-red scales were the same color as her own auburn hair, which shone in the sunlight. Then she flexed her arms and legs and she felt the sinewy strength of a dragon flow through them. She felt the movement between her shoulders of powerful wings. And she stretched out her wings and she flew. The Almost an Inkling contest is still going on if you would like to try your hand at a poem this week, or next week’s prompt which will be “Speculate and Subcreate.” Also at this link you can read the winning entries from the first three weeks, and vote on the poems from week five. The winning entries will be published in a special-edition ebook by Oloris Press and we’ll be reading our work aloud during a webinar at the end of the contest on Halloween. Whew, well, there’s more I could tell you about — what a busy month it’s been! — but I’ll stop there and give you a chance to check out the links I’ve included. I hope you’ve all had a good October so far! What have you been up to? Let me know in the comments. And if you haven’t been doing that much, that’s okay, too. 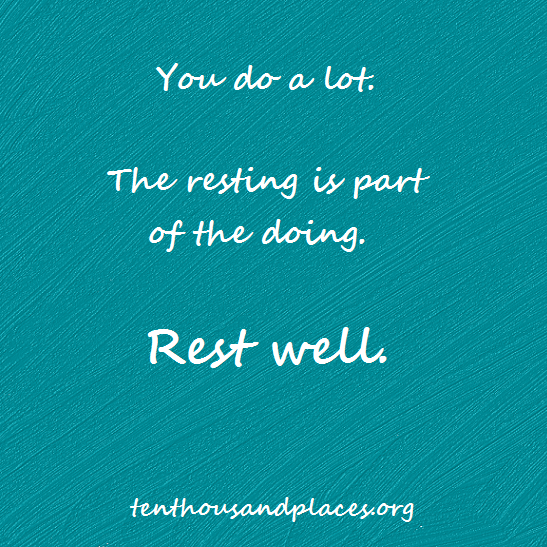 The resting is part of the doing. 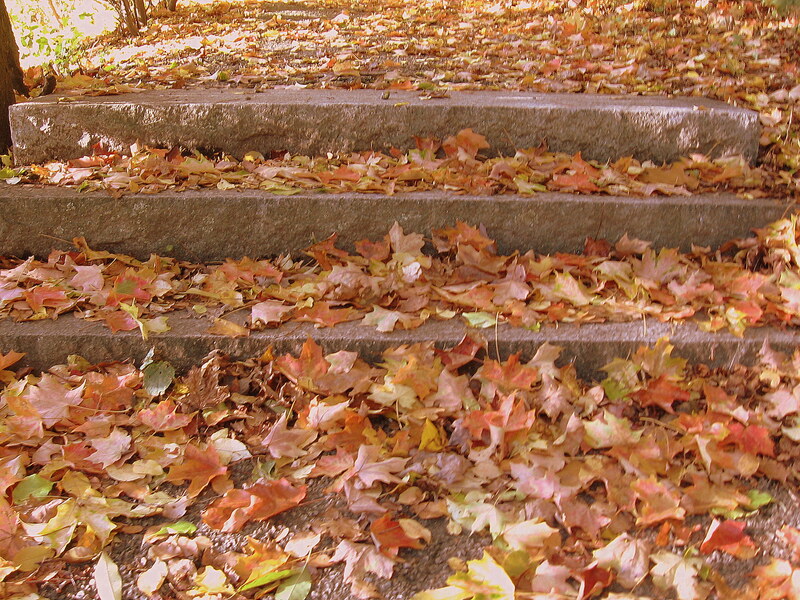 This entry was posted in Community, Literature, Poetry and Prose, Wrestling the tigers, Writing and tagged launch team, Love Flash Mob, momastery, Mythgard Institute, Out of Sorts, Sarah Bessey.